If you had asked me 1-2 years ago if fear and worry were a part of my everyday life, I would have answered no. 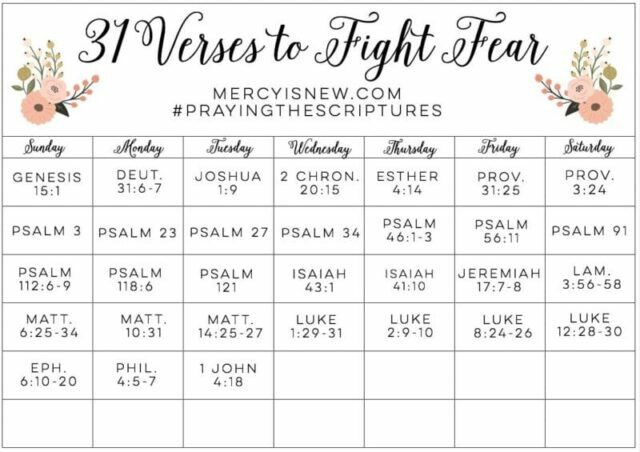 I had no need for 31 verses for overcoming fear. But, God had a work to do in my heart, I have no doubt, and fear has been creeping into my heart like never before. I have known all along that this was a spiritual battle along with spiritual warfare. Yet, when my worst fears would creep into my mind, I would still feel at such a loss. I am learning to WALK THROUGH my fears. What do I mean by this? I mean, think about your worst fear. Now, imagine it actually happening. Now what? Even if our worst fears come true (and we aren’t promised that they won’t!) God is STILL GOD. God is still ON HIS THRONE. God is still FAITHFUL. God is still TRUSTWORTHY. If our fears come true, does that change who God is? I can truthfully answer NO. So, while I still struggle, I am learning to TRUST. And I am praying Scriptures and meditating on verses that help me to battle the enemy of my soul. How do we do battle with the liar of all time? With TRUTH. Pray these verses, speak these verses out loud. 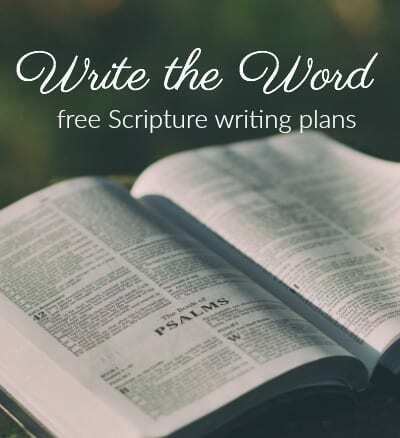 Write the verses. Memorize the verses. In moments of fear, CLAIM these verses. God is faithful!!! Notice I used the word OVERCOME in my title. The cry of my heart is that these verses will be our BATTLE CRY against the enemy. We will PROCLAIM the truth of JESUS and when we do, we find our VICTORY in JESUS. Christ alone. I truly believe, like Beth Moore in the quote above, that God will use this time of fear in my life FOR GOOD. He is strengthening my faith. He is helping me to depend on Him and Him alone. He is building my trust in Him more and more. And He will do the same for you, my friend. I hope you will print off these verses and pray through them with me. Let’s show the enemy who He is up against! 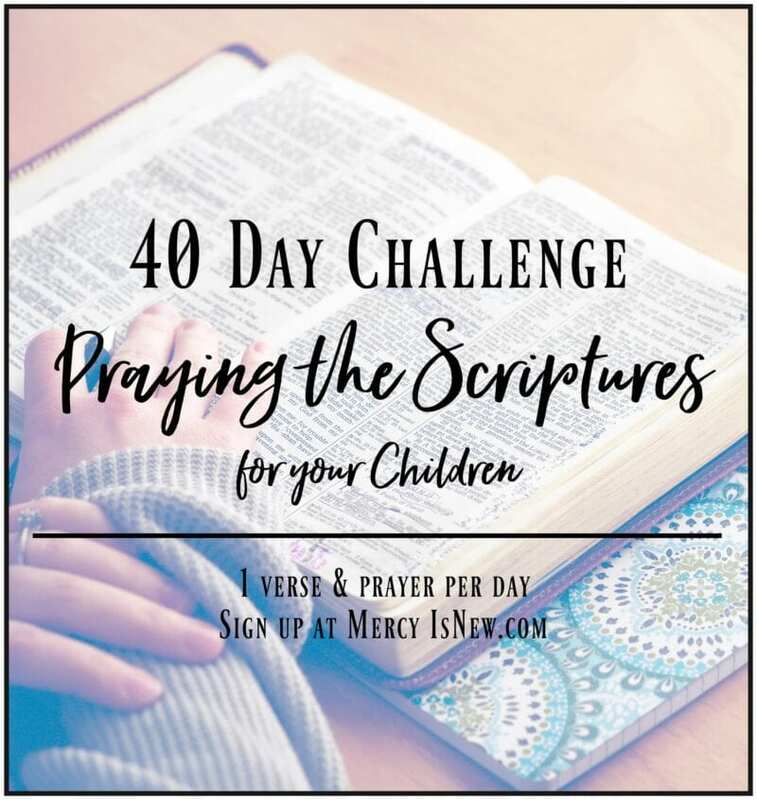 Click on the PDF link or the graphic to download your free calendar of verses to pray. 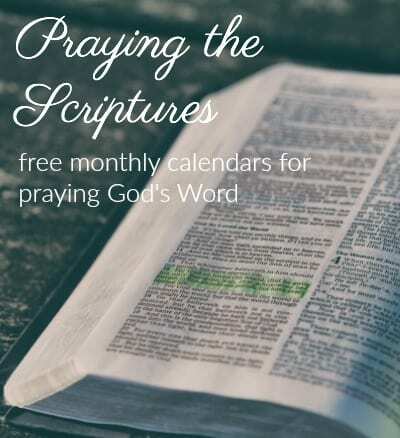 If you will notice, there is NO MONTH on this calendar — add these to your One Year of Praying God’s Word in whatever month you find that you need to fight fear! This set of 31 verses is so powerful. I kept digging in and wrote a short devotional to go with each day’s verse in this new ebook: Whom Shall I Fear? 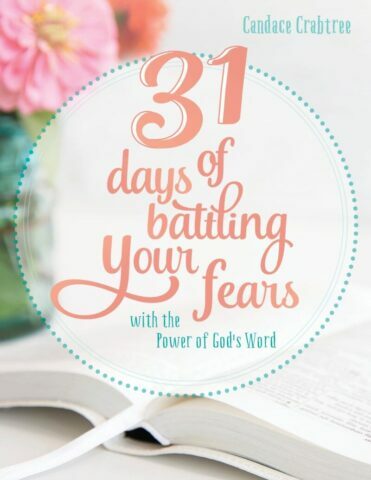 31 Days of Battling Our Fears with the Power of God’s Word!